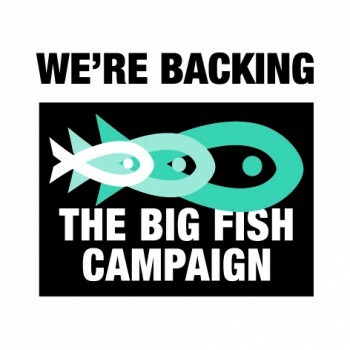 Support the Big Fish Campaign! BIAZA project aims to educate and promote responsible sales of problematic species. The trade in ‘tankbuster’ fishes which grow too large for most home aquaria is not a new issue, but is arguably of greater concern than ever. A multitude of endangered and otherwise unsuitable species have become fashionable in recent years, and in some cases have even become established in countries outside their natural ranges. 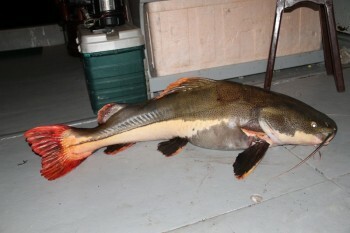 While most are traded in relatively low quantities by specialist retailers and/or cost too much to be mistakenly purchased by beginners some are cultured on a commercial basis, exported in huge numbers and readily available at pocket-change prices, often as by-product of aquaculture programs. Juvenile Phractocephalus hemiliopterus are widely available at 5-10 cm in size and are popular due to their ‘cute’ appearance. Although these may seem an attractive, even cute, purchase at a few centimeters in length only a handful of private aquarists possess the huge and expensive facilities required to house them long-term. Since they’re usually marketed with no information as to long-term requirements or adult size the blame cannot rest solely with the consumer, but equally the purchase of any animal without proper research is unquestionably both irresponsible and selfish. Others may know what the fishes are but buy under the misconceptions they’ll grow to the size of the tank they’re kept in, be easy to re-home later, or can be taken back to the shop once too large. In reality fishes certainly don’t grow to fit their surroundings, though large specimens maintained in cramped conditions can be severely stunted and develop physical deformities. Since very few hobbyists possess aquaria with dimensions sufficient to house fishes growing to even 30 cm in length the majority of retailers won’t accept them back, and they’re difficult to move on privately. Unfortunately there also exist individuals who clearly have no regard for the long-term well-being of the animals and instead appear motivated by perceived social status, typically gained by posting photos and videos online. Regrettably, yet perhaps inevitably, small aquaria containing motley combinations of juveniles with the potential to become monsters have become an increasingly familar sight over the last decade or so. In any event an ongoing physical problem has been created for zoos and public aquaria which are inundated with requests from hobbyists wishing to pass on their ‘pet’ which has outgrown its home or started snacking on tankmates. This is a major reason for the ubiquity of large freshwater exhibits featuring the same few species, of which most are ‘donated’ by members of the public. 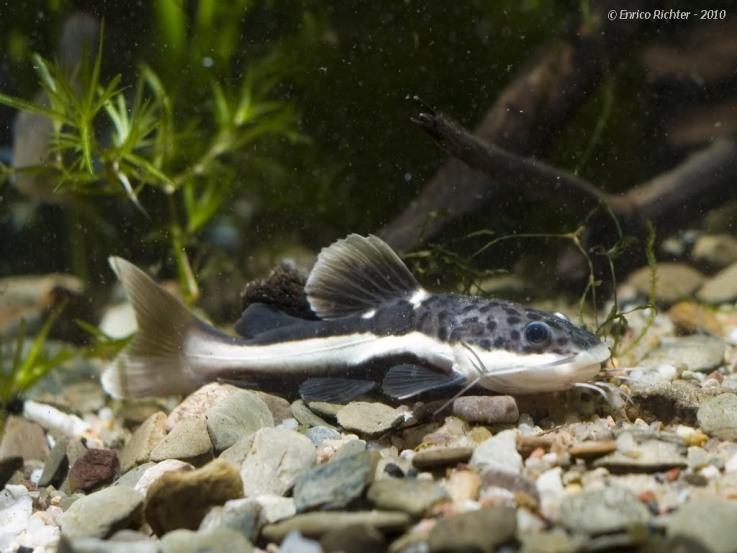 Often these aren’t native to the river system or country the exhibit is supposed to depict but in many cases the aquarium or zoo has little choice but to accept since fish are often abandoned, plus the alternatives are hardly desirable to staff trained in animal welfare. In many cases exhibits are so full that they have to maintain some large fishes behind the scenes while most are simply turned away. Can anything be done to improve the situation? The British and Irish Association of Zoos and Aquaria (BIAZA) certainly think so and have decided to take action with a campaign aimed at reducing the availability of some of the more commonly-traded ‘ big fishes’, specifically members of the genera Colossoma and Piaractus (collectively referred to as ‘pacu’), Pangasius and Pangasianodon (normally marketed as ‘iridescent shark’ or similar), Leiarius (’sailfin pims’), Pseudoplatystoma (‘tiger shovelnose’ catfishes), Phractocephalus (red-tailed catfish), and Osphronemus (‘giant’ gouramis). The project, dubbed the ‘Big Fish Campaign’ (BFC), was actually conceived in 2006 but has been revitalized in recent months, and they now have a dedicated website where retailers, wholesalers, institutions, and other organisations are able to pledge support directly. Importantly, the campaign does not seek to change legislation or stop the trade of certain fishes; rather it aims to raise awareness, educate, and promote responsible sales. Reduced availability of the problem species mentioned above via consumer self-regulation is also a target. 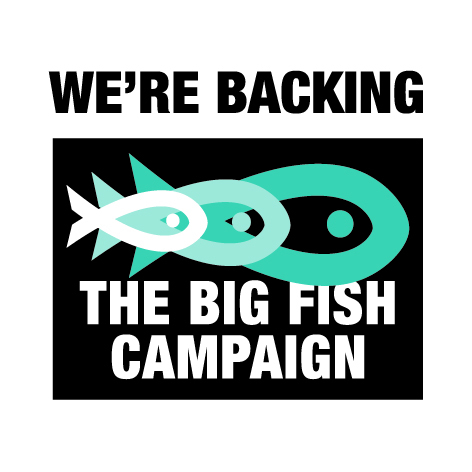 There are plenty of other species that could be included on the list, and since we’ll be running a series of articles covering ‘big’ fishes and the campaign itself we may feature a few of them later. Some industry giants have already signed up and we strongly encourage others to do the same by heading over to the campaign website and adding the name of your enterprise, institution, or organisation to the ever-growing list of supporters. Should you prefer, you can add these details in the comments section below or contact us, although please note that they’ll subsequently be sent to the ‘BFC’ organisers for use on their site. There’s also a colour poster that retailers can download and display which is available here. …please support this. The trade of these fishes should not necessarily be prevented, but the sale of thousands of juveniles each year represents a serious animal welfare issue and they should be reserved for those who can afford to maintain them correctly. Feel free to buy big fishes but only if you possess the resources required to do so. Fantastic incentive, hope it really takes off. And about time too that someone tries to do something about this particular problem. Nice initiative. Yeah lets hope we can help drum up support for this. If anyone fancies calling a local retailer or two and drawing their attention to it please do so! The idea is that they display the poster on their premises and agree to responsible trade of those problem species listed in the article. Ask them to download the letter of support for further information as well. As a public aquarium we are regularly contacted and asked to take on not only large fish that have out grown home aquaria but also freshwater Turtles. It would be great if more awareness could be raised about this issue to stop it at source. Good stuff! Hopefully this initiative will stop the misfit of fish and tank sizes. In my opinion this certainly needs a halt to the breeding and or import for the retail. 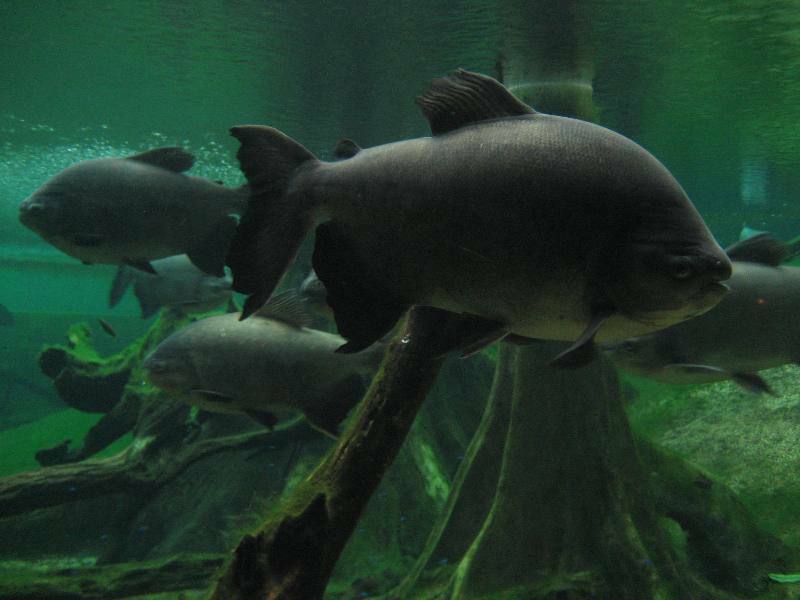 These fish require circumstances only zoos or specialists can offer. Thumbs up and fingers crossed! I support this endeavor 100%. As a keeper of large fish I know how hard it is to deal with big fish, although mine top out at just over a foot they do school. Having to move huge tanks from house to house is a chore if at all possible. On my other forums these fish are highly recommended against, especially iridecsent sharks and pacu. Thumbs up !!! i was a victim of buying a Pangasius without knowing that i was buying a big fish, i was only excited to see a dwarf shark fish as it was marked. Keep up the Good Work !!! Thanks to everyone else for the positive comments! Good initiative, I wonder whether pet shop licensing could be looked at and displaying maximum lengths and minimum tank sizes made a requirement. Really big fish are a good poster feature, but issue does occur with many medium sized fish too. When I started my first ever aquarium, I remember buying a single Bala Shark (Balantiocheilos melanopterus) for a 150l community tank, cause the shop recommended it as a good species to ‘liven up’ the tank. Well, liven it up it did until it died from lack of space to grow and congener’s company..
Good, someone is finaly doing something about this issue. I see this problem on almost a daily basis. People buy fish, then neglect to give them the care they need, or simply get rid of the fish becuase they can no longer handle it. This results in countless animals dying solely from peoples ignorance or greed.